Until this building was constructed in about 1908 the site formed land adjacent and belonging to Elmstone House, which was owned by the Scudamore family. Its completion coincided with the numbering of the Upper Bath Road and so the property became No. 93. After Albert Scudamore died in 1912 both buildings were sold to Messrs Webb Brothers, who were pork butchers. Their business continued here until about 1916 when, along with the next door shop, it was acquired by Mr Charles W. Whiting. Mr Whiting and his son Vic made their own pork pies, which were baked for them at Cripps Bakery (see 161 Bath Road). The pork butcher sold only pork products and every part of the pig was used. The Whitings were known for their excellent pork sausages. 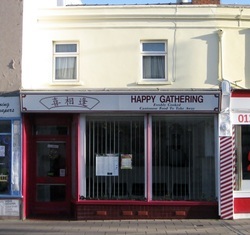 After Charles died Vic carried on the family business, still trading in his father’s name, finally relocating from Bath Road to the town centre in the early 1950s. The shop remained in the meat trade but now it was cold cooked meats that were sold. For most of the 1950s it belonged to F.Wright and by 1961 had become Superfoods, still selling cooked meat. 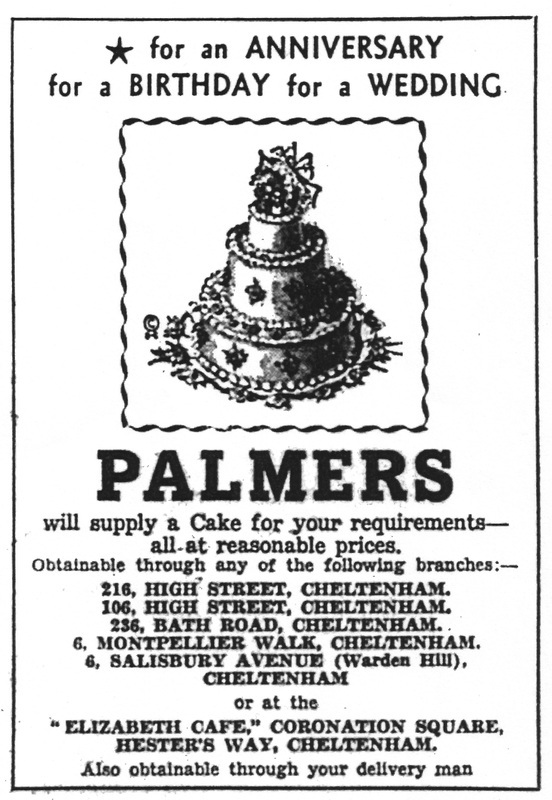 The trade changed when it became a branch of A.H.Palmer, who were bakers. Palmers had shops in the High Street, in Warden Hill and at Coronation Square. Yet another complete change occurred at the start of the 1970s when this became a retail outlet for James Ferguson and Sons, decorator’s merchants, whose main warehouse was at Witcombe Place in Albion Street. Since the 1970s the shop has been a Chinese takeaway, initially called the Chop Suey Inn and since before the beginning of this century known as Happy Gathering.